Senior leaders have come together to launch a new charity aiming to transform cancer advice and support for people working in the Construction and Built Environment sector as well as raising money to help fund research to beat cancer sooner. To support people who work in the construction and built environment sector who face the challenge of dealing with cancer in their lives. To fund research which can help accelerate improvements in the prevention, detection and treatment of cancer. To promote health and wellbeing in the construction and built environment sector in order to help reduce the risk of people developing cancer in the first place. We want to ensure that whatever the circumstances – whether its dealing with a personal cancer diagnosis or cancer affecting friends or family – the people in our industry get the support and advice they need. With 3 million people working in our sector if we all give a little, we can transform peoples experience and help more people beat cancer, sooner. Cancer Research UK has been at the heart of the progress that has already seen cancer survival in the UK double in the last 40 years. But one in two people will be diagnosed with cancer which means there’s still so much more we need to do. 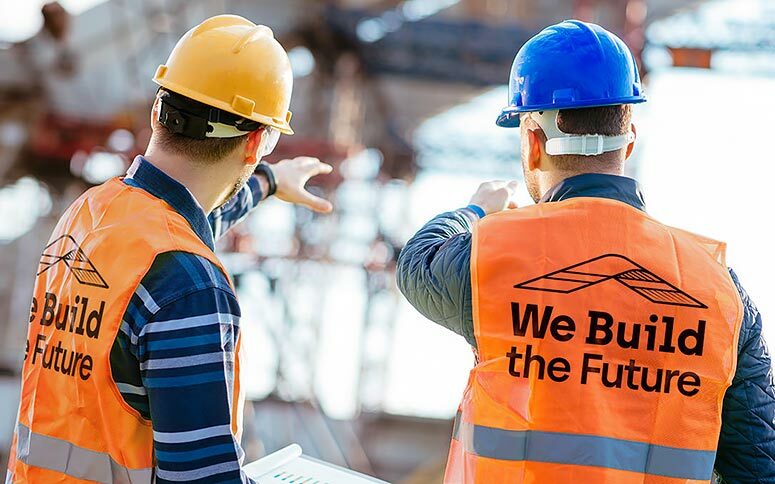 We’re proud to be working with We Build The Future. Their passion and ambition to support people within their industry when they’re faced with cancer makes it the perfect fit with Cancer Research UK. Together we can reach even more people with information about cancer and raise more money for vital research. Those of us who work in the construction industry know that it can be a difficult industry to engage with but that it is possible if you know the right way. Cancer Research UK has really good advice, help and research work which We Build The Future can better get to the various parts of our industry. In addition, giving a focus for the industry’s fund raising will really help boost this and hence research. When making site visits, building control professionals see many people vulnerable to cancer, and learn of others who have succumbed. We should do all we can to help. For further information about We Build The Future, write to info@webuildthefuture.org.